The Teddy breed came to be as a result of a genetic mutation- this DNA transfiguration is responsible for the aesthetic properties of their fur, but did not affect the breeds overall health. This genetic mutation is most likely due to scientific experimentation. 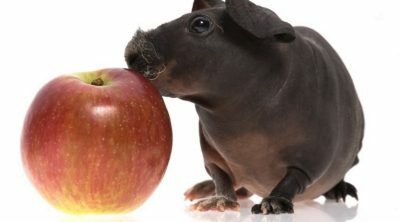 The Skinny pig, for example, is the result of a mutation conceived for the purpose of dermatology testing. 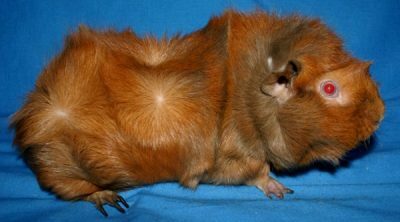 The Teddy then began to be bred for competition and became recognized by the American Cavy Breeders Association in 1978. 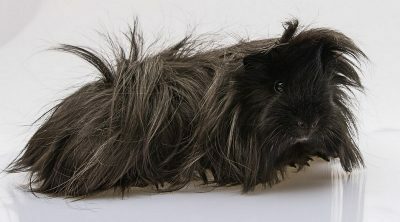 The Teddy’s distinguishable short, dense coat has been described as rough and wiry in comparison to guinea pigs like the American, which it will often get confused for, but their unique texture is still desirable among potential guinea pig owners, especially those looking to show their pigs in competition. 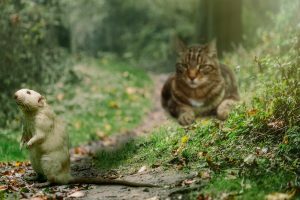 You might use the texture of an Abyssinian to get an idea of how a Teddy feels, but there are significant differences in the breeds’ appearances. The Abyssinian has rosettes in their fur, for instance, while the Teddy’s coat is evenly laid over its entire body. Satin Teddies are also a recognized breed; they have the same general qualities with a characteristically shinier coat. 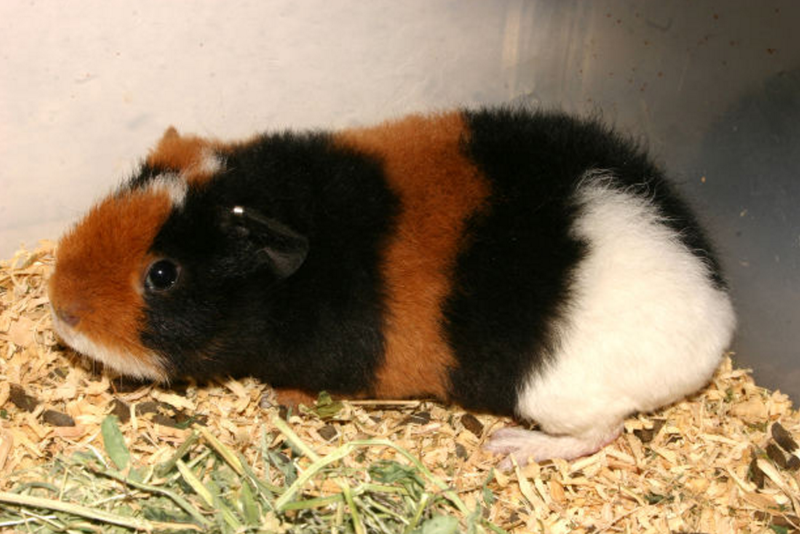 Teddy breed can be found in any of the common color patterns among the cavy species, including black, grey, and agouti patterns. 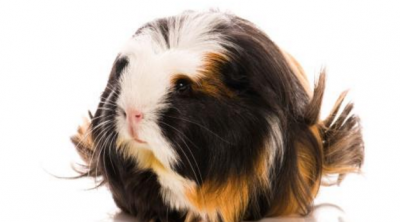 A reason many commonly misperceive a Teddy for an American guinea pig is that the two have the same nose, sometimes referred to as the “Roman nose”. The Roman nose is wider and rounder than that of other breeds; it is also noticeably upturned. Grooming a Teddy is much less tedious a job than, say, grooming a Peruvian or another long haired pig who needs to be brushed constantly to avoid fur tangles. The Teddy’s short coat is manageable and only needs to be brushed once a week or so to free it of any debris that could potentially irritate its skin. Teddies should be brushed from their bottoms to their head (to keep their coats nice and fluffy) with a slick brush that won’t scratch their sensitive skin. Teddies are known to have drier skin than other breeds and baths should be infrequent, at maximum only three times per year. Bathing your teddy could be entirely unnecessary if you’re attentive with grooming; but if your Teddy gets into extra mischief while playing outside, bathe him in warm water with a veterinarian recommended shampoo and blow dry him gently on low heat to avoid chills. A particularly important part of Teddy care is cleaning their ears. Teddies have long ears, and because of their drier skin, they get dirtier than other breeds. Owners should check their Teddy’s ears a couple times per month for waxy build up. When cleaning is needed, use a gently mineral oil to loosen the build up. Then, with a soft cloth wrapped around your finger, delicately wipe the ears clean. 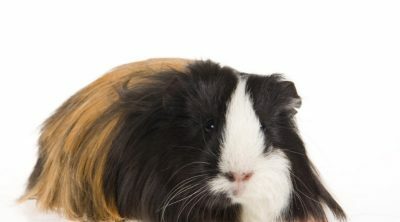 Like with other guinea pigs, attention should be given to grooming the grease gland near the tail area, regular nail clippings, and weekly cage cleanings. A healthy guinea pig diet consists of hay, pellets, and fresh fruits and veggies, Teddies included. Cavies do not produce their own Vitamin C, so it’s important they receive it in their diet. A healthy adult guinea pig can enjoy one cup of fruits per day, though it should be dosed sparingly otherwise it could cause diarrhea. They also need a daily serving of hay, and pellets to snack on, preferably timothy or alfalfa based. Also, unshelled sunflower seeds can provide supplementary oil to your Teddy that can help its dry skin. Teddy cavies are fun loving curious creatures. They love to explore and roam and should be given regular, supervised time to do so in an environment outside of their cage every day. Their cuddly, playful nature makes them loving companions for children. They can often be social with other guinea pigs, but when it comes to sharing a cage, their personal temperaments will determine their behaviors more than their breed. Teddies are a popular participant in show competitions. Many of their qualities have made them favorable contestants and breeders have noticed what they are, so if you are interested in taking your Teddy to show, pay attention to these details. A teddy’s coat is generally the most judged quality. Density of the fur is important; you can tell how dense a cavy’s coat will be by how little skin you can see after its born. 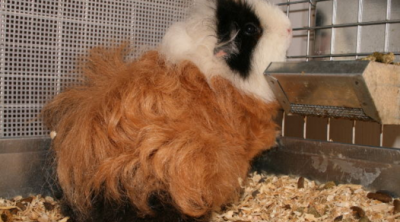 As the guinea gets older, owners can watch as the density develops, first during the “fluff” stage, to determine if it will make for a good show animal. Breeders have concluded that it is most common for a Teddy to reach the fluff stage around three to four weeks of age, but that the Teddies who succeed in shows are the ones who develop more slow and steadily, reaching the fluff stage at four to five weeks. Fully developed, adult texture and density in the coat can be seen when the Teddy is around five to six months old. Judges will consider evenness of the coat and whether or not the Teddy’s color patterns are clear and defined. Roughness in fur is usually preferred over those with softer coats. Judges also take size into consideration when evaluating a cavy. An ideal show Teddy will generally reach two pounds in weight by three to four months of age. Overall, judges are looking for a prime example of the Teddy breed. Whether looking for a pet for your child, a winning show piggy, or just a household companion, a Teddy guinea pig is a great option. They can be found easily at most pet stores or from a breeder, but always consider rescuing a healthy cavy from your local shelter.